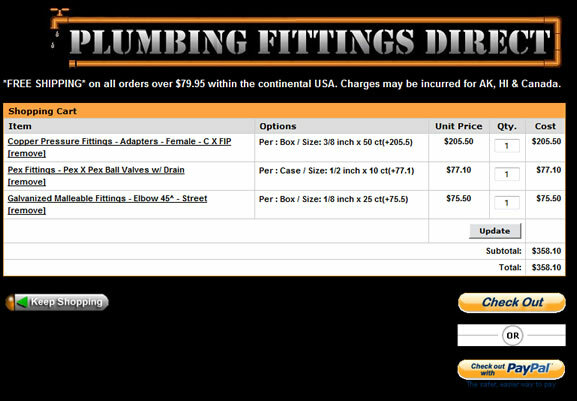 Plumbing Supplies Online Shopping Cart - This online plumbing supply website uses Yahoo store as the back end shopping cart. In order to make this successfully work with the 3000+ products, a lot of integration was needed. Yahoo Store offers an excellent platform for customers with a mid-size business who don't want the expense of merchant gateways. Yahoo handles everything for you, it just nneds to be integrated properly.